When someone gifts us or helps us, we say thank you to him/her and appreciate them. Similar to it, professionals also keep on exchanging Thank You Letters to appreciate each other. It helps in expanding the business network and take communication beyond expectations. There is a professional and formal way of writing and structuring thank you letters. 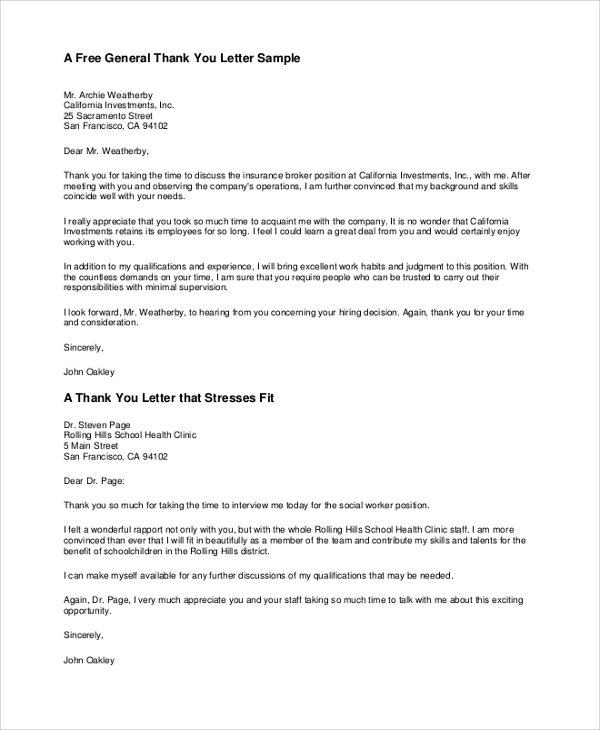 Please have a look at below formal letter samples and learn a way of writing effective thank you letters. 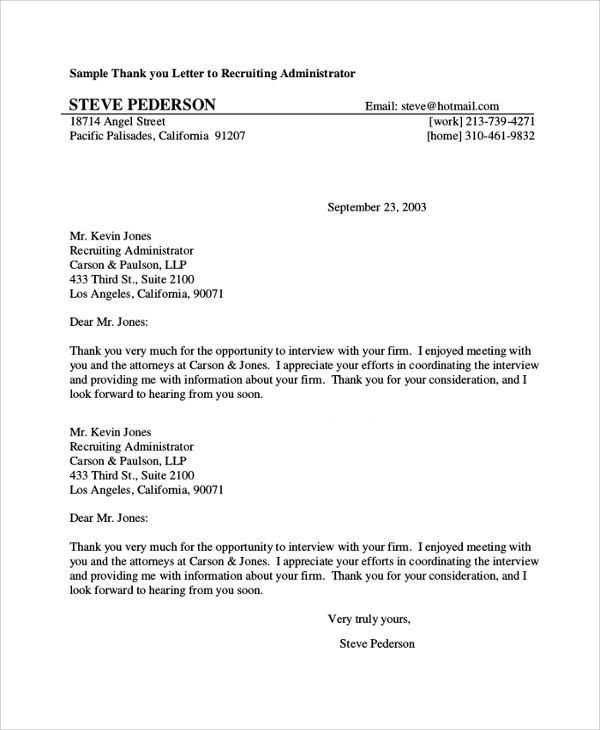 Sample Interview Thank You Letter is a appreciation letter. This PDF document contains a sample thank you letter. It also describes how to write salutation, body paragraph, and conclusion statement. Download the document and learn the way of writing an impressive thank-you letter to the interviewer. 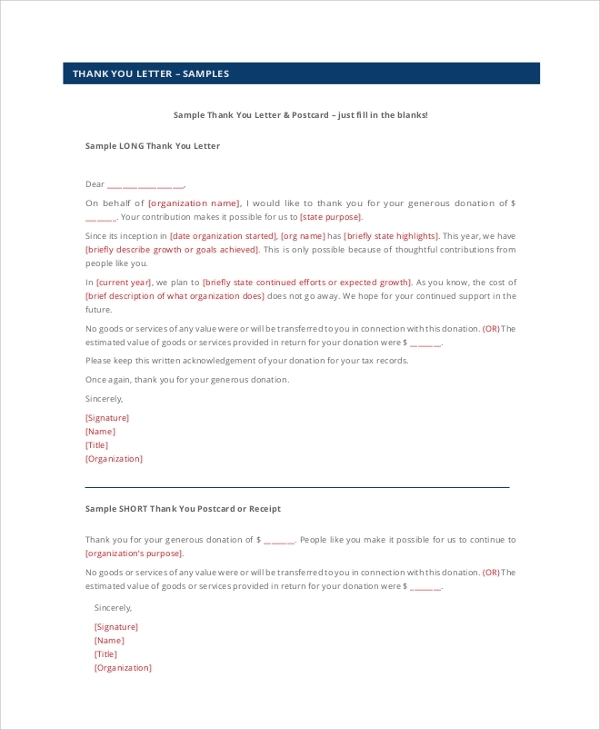 Learn a decent way of writing donation letter by downloading donation thank you letter document. 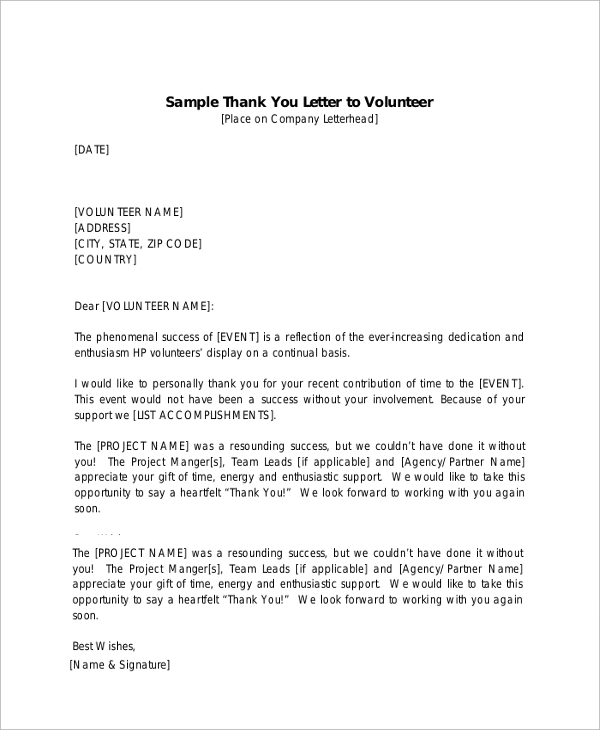 Open the document and get access to appreciation letter sample. Open the document using digital software and fill the blank documents with the necessary details and you are done. It also contains editable sample postcards and receipt sample design. 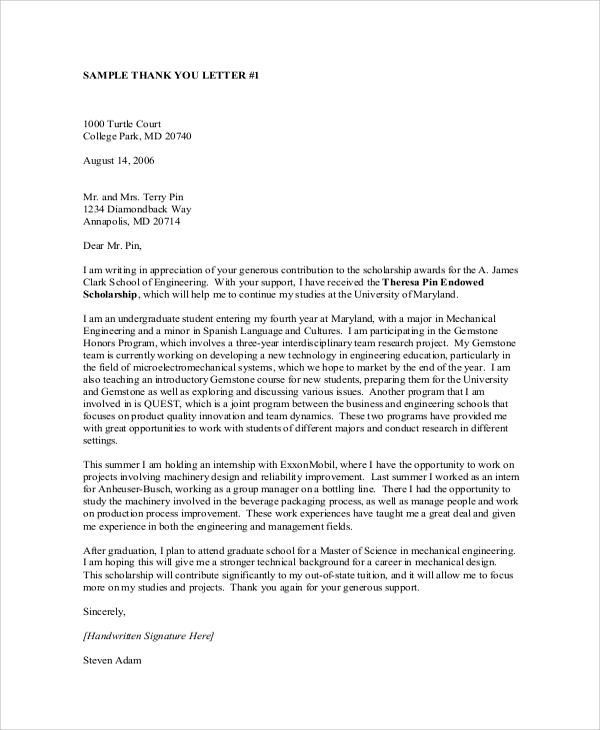 Download scholarship thank you letter and thank scholarship donor program/person for the reward. 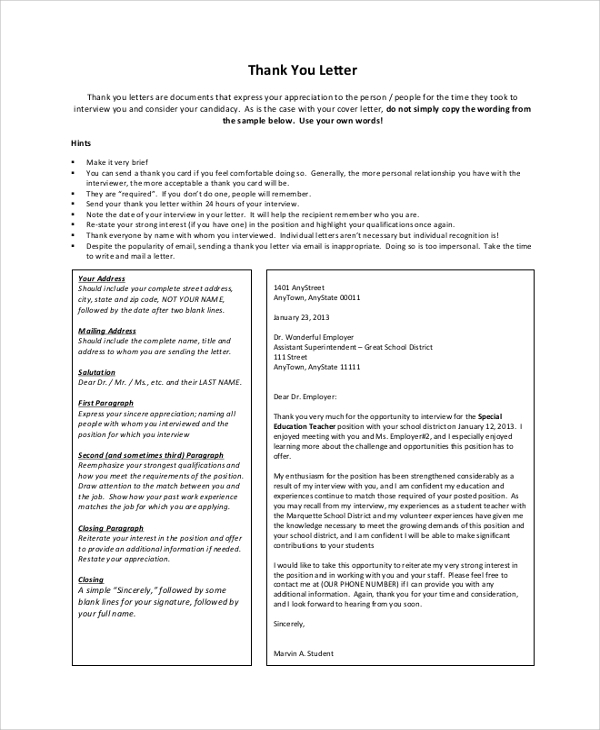 To get access to the sample thank you letter, you need to download this PDF document. This document contains suggestions regarding letter writing and two sample thank you letters. Also, it contains an example letter that describes what to write in each letter element. 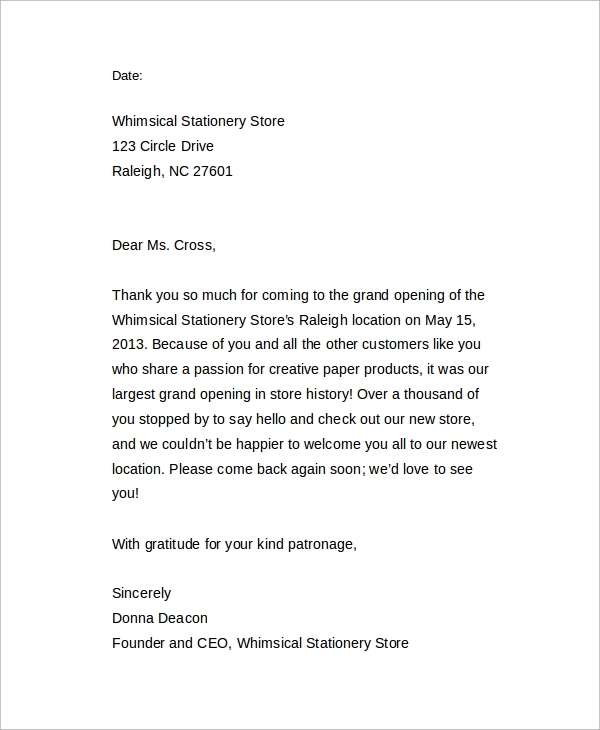 Business thank you letter an MS-word document that is 100% customizable. Download the document and customize the letter by changing address, person/business name, and purpose of writing a thank you letter. A purpose of Professional Thank You Letter varies with the letter type. For a candidate, it is an awesome opportunity to reconnect with the employer and also you can put your candidacy to the top level apart from the selection process. A thank you letter is like marketing your plus points and builds a strong communication network. The last thing people also love to get appreciated by others. So, write thank you letters. Hope this resource has helped you a lot. Please do take time and share your valuable comments as a feedback to our work. Also, please have a look at sample apology letters. We update our resources frequently. So, please visit the page again because more resources are waiting for you.